MyBB is a popular forum software that is free and used by thousands of forums online. MyBB GoMobile is the best mobile detection plugin that is used by a majority of MyBB forums. The plugin will detect if a visitor is on a mobile device then redirect the visitor to the mobile-friendly version of the forum. Few themes have been created specifically for mobile devices. We have two themes that many forums are using with the GoMobile plugin. Metro theme – MetroStyle is bundled with a mobile theme. OrionMobile – is a mobile theme for smart phones, tablets, and other small devices. 1. Upload contents of "Upload" folder to forum root. 2. 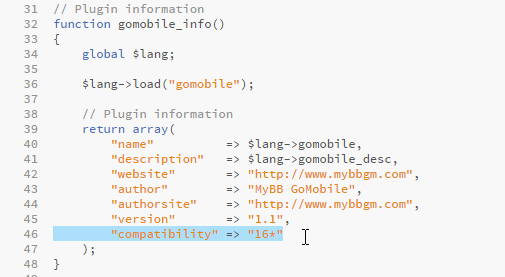 Go to ACP > Configuration > Plugins and "Install & Activate" MyBB GoMobile. 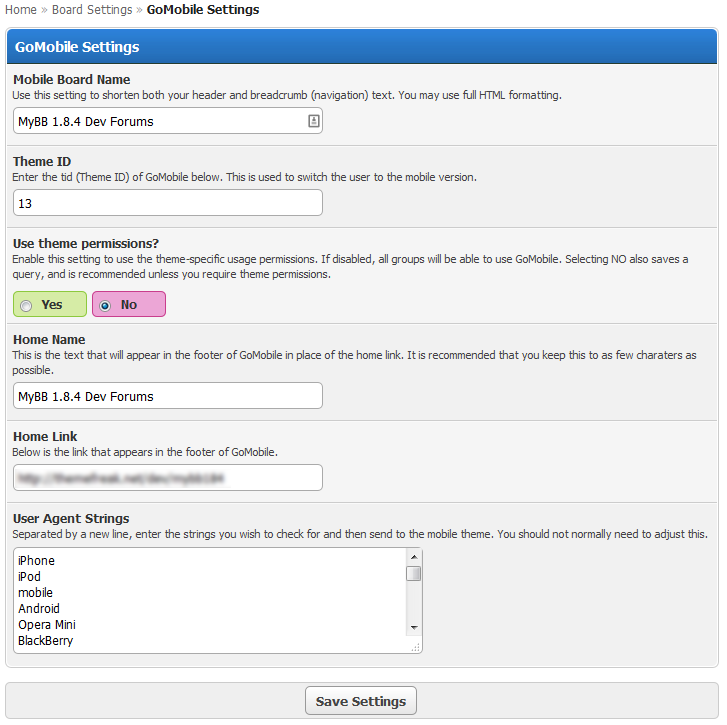 Download MyBB GoMobile modified version. Follow provided instructions which is basically: 1) upload files 2) activate. Download GoMobile at the official Github page. As always, prior to installation, it’s good practice to make a backup of your database and forum. Our previous post on how to create a backup will help you. Upload contents of “Upload” folder to forum root. This is usually the /public_html folder if your web host uses cPanel. Navigate to /public_html/inc/plugins folder with your favorite FTP program. Go to ACP > Configuration > Plugins and click “Install & Activate” MyBB GoMobile. If you followed the instructions above, your MyBB 1.8.4 forum now has MyBB GoMobile plugin installed. Mobile Board Name – shows up when mobile theme is viewed. Theme ID – id of mobile theme that you want to show (13 is default). Use theme permissions – controls whether or not to use theme’s user group permissions. Home Name – text that appears in the footer of GoMobile theme. Home Link – link that appears in the footer of GoMobile theme. If you follow the instructions above you now have a forum that is mobile-friendly. If you’re looking for a theme specifically created for mobile devices that can be used in conjunction with MyBB GoMobile, check out OrionMobile. Editor's Note: This post was originally published March 21, 2015 but has been updated. How about the plugin ??? Can gomobile theme compatible with 1.8 plugin ?? Hi you mentioned “MetroStyle is bundled with a mobile theme.” but when I tried the theme on a phone, it doesn’t show a mobile theme. May I know what you mean? By the way, I bought FlatOne, it looks great! Some icons margin/padding is slightly off though.